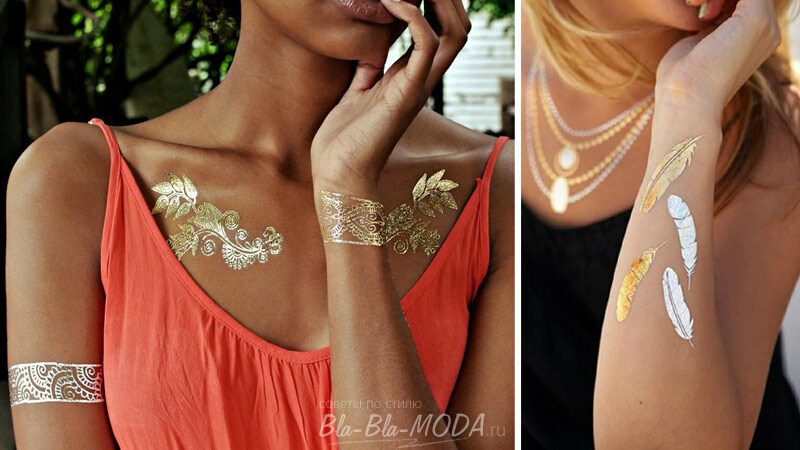 Flash tattoo – disposable tattoo, who wear instead of or together with ornaments. 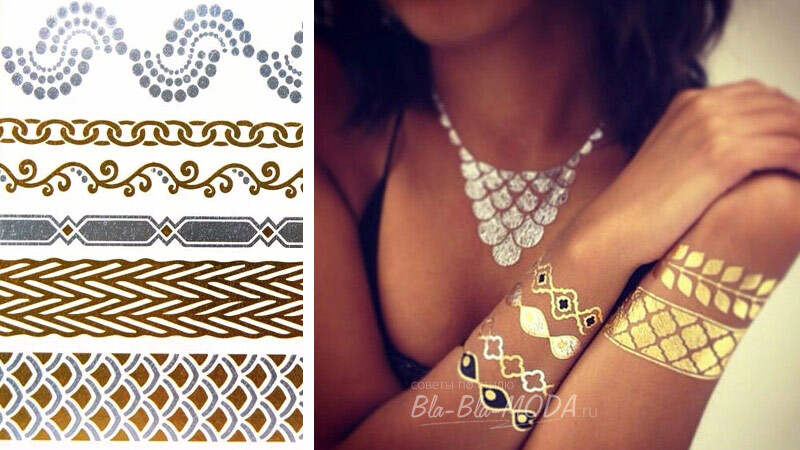 They can mimic the bracelets or chains, all sorts of patterns, inscriptions, hieroglyphs. Usually they are made under a gold or silver. The main advantage is that the, that they are temporary and easily removed. In addition, are these cheap decorating, and look very impressive and stylish. 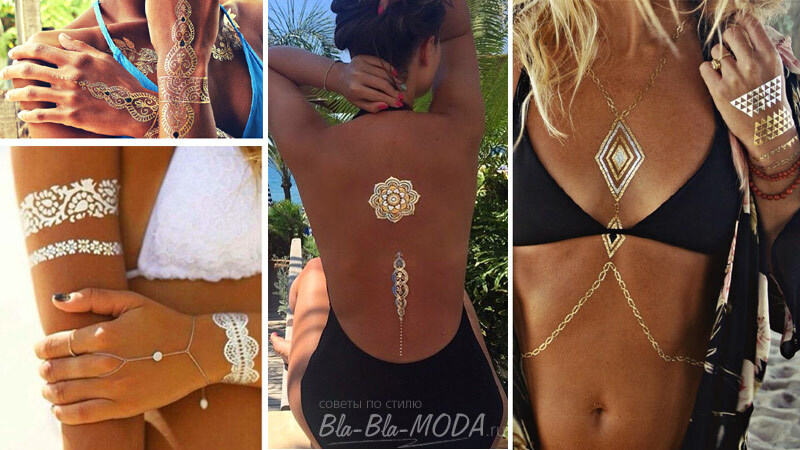 Skillfully causing such temporary tattoos on body, easily become a beauty on the beach, The Queen of the prom or new year's Party. Wash with SOAP and water then place, where are going to glue the tattoo. Dry thoroughly. Prepare a bowl with warm water and towel. Cut the sticker as close as possible to a path. Gently peel off clear film from the picture. Attach the sticker to the face skin. Soak a towel in water and Pat the tattoo Flash several times on top of the paper, densely pressing a towel to tattoo skin. After, as a sheet with sticker completely get wet, hold 20-30 seconds and carefully remove paper. 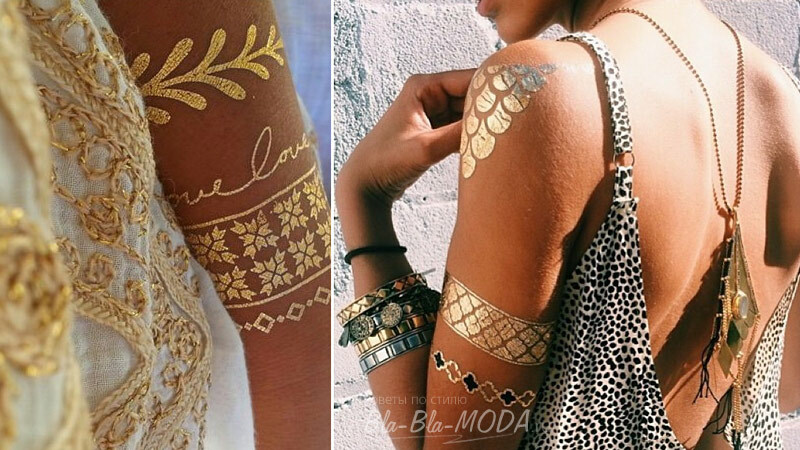 Tattoos should be left on the skin. To remove a tattoo, carefully wipe the skin swab with cream, baby oil or olive oil. Picture keeps about 3 days. If you do not use lotions and soaps in place stickers, It will remain longer. 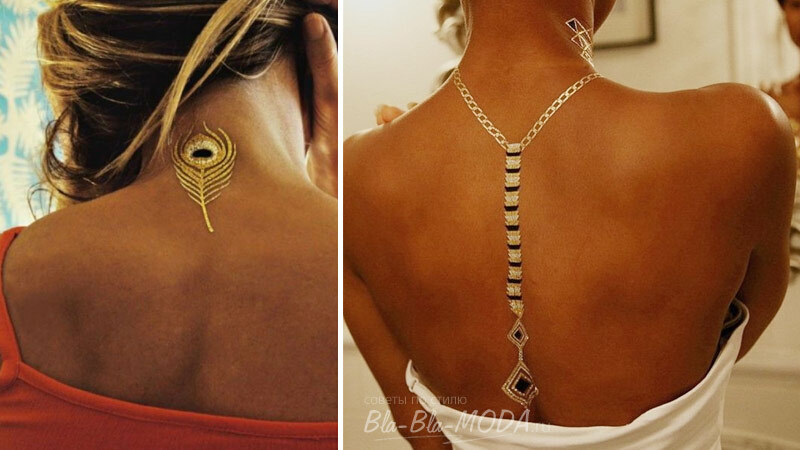 Let's take a look at, How to stylishly combine and apply different tattoos. 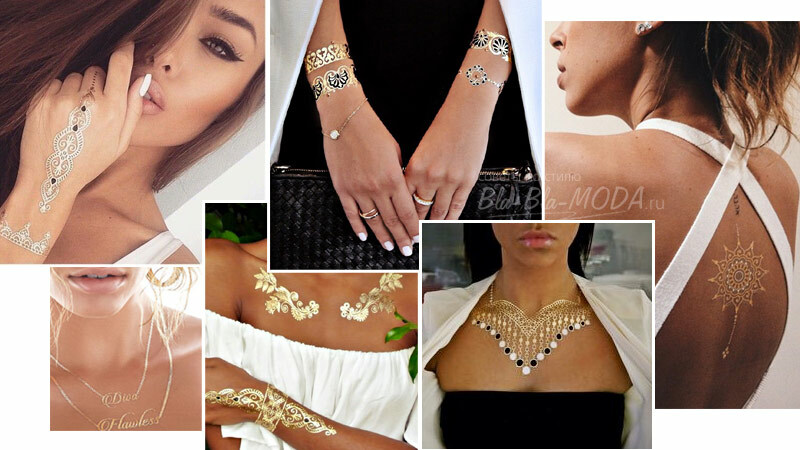 Golden tattoo go well with white, Brown and coral color. Ideal to little black dress. 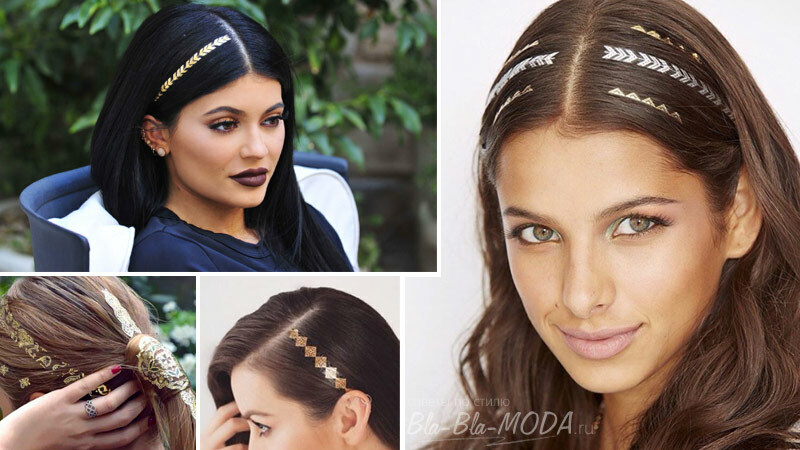 Beautiful pictures you can decorate not only the body, but hair. Especially for the new year. Best look-stripes stickers, located along the hair growth. Note, that is too fine lines and intricate drawings are lost in your hair and will look messy, so choose a simple drawing, but stylish. Now these stylish decoration can be found in regular stores, but it would be cheaper to order labels in specialized online stores, – see there, where a large selection of. Took in the store. Truth found them in instagram. Normal quality, Depending on the body parts tattoos were worn 3-5 days.